The appeal now threatens the Tayto Park timeline to have the roller-coaster constructed and open to visitors by 2021. FOUR RESIDENTS LIVING close to Tayto Park have put the brakes on plans for a new ‘iconic’ €14 million steel ride roller coaster ride at Ireland’s largest theme park. This follows the residents, Donal Greene and Clare Smith along with Suzanne Galwey and Jeremy Butcher, lodging a joint appeal to An Bord Pleanála against the decision by Meath County Council to give the project the go-ahead last month. 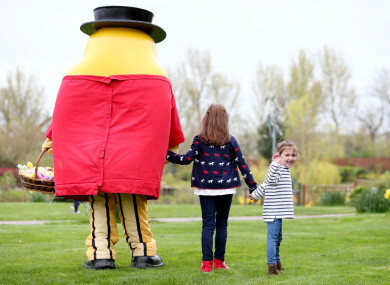 The appeal now threatens the Tayto Park timeline to have the rollercoaster constructed and open to visitors by 2021 and puts a question mark over the project. The planned ‘Coaster 2021’ will involve two separate coasters and a 189-page Environmental Impact Statement (EIS) lodged with the planning application outlined the stark need for ‘Coaster 2021’ for the future of Tayto Park. The document states that if the Tayto Park operators do not add a major attraction at this time “the longer term viability of the park would be brought into question”. The planning documents state that ‘Coaster 2021’ will help projected visitor numbers to Tayto Park - owned by businessmen, Ray Coyle - increase by 15% from 630,000 in 2019 to 725,000 in 2023. However, in their objection against the plan, Ms Galwey and Mr Butcher -who live 200m from the Tayto Park entrance – have stated that they feel that “this development is entirely inappropriate from the perspectives of traffic, noise and overall disruption”. They stated that they support the presence of Tayto Park in their community, but state that the development is of inappropriate scale for the rural area. The two state that they currently experience noticeable noise pollution from the park from the existing Cú Chulainn rollercoaster from ratcheting sounds, riders’ screams and the roaring of the cars and the train whenever the park is open. In their own objection, Clare Smith and Donal Greene state that they live 700 metres from the entrance. They state that they have lived in the area since 2013 and “our family has been based in this area since the 1970s”. We feel that the proposed new development will have a serious negative long term impact on our peaceful enjoyment, and critically the long term value of our home. We currently experience noticeable noise pollution from the park and the existing roller-coaster and the train whenever the park is open. The objectors said that the new rollercoaster “will present a further escalation in the impact to our lives. We chose to live in this area with the expectation of a quiet environment to raise our small children”. They also stated that new roller-coaster “would be directly visible from our back garden and the bedrooms at the rear of our home”. Tayto Park declined to comment on the appeal and a decision is due on the appeal in early July. Email “Four residents put brakes on Tayto Park plans for €14 million rollercoaster”. Feedback on “Four residents put brakes on Tayto Park plans for €14 million rollercoaster”.